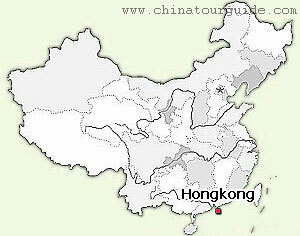 Hong Kong is located on China's south coast, 60 km (37 mi) east of Macau on the opposite side of the Pearl River Delta. 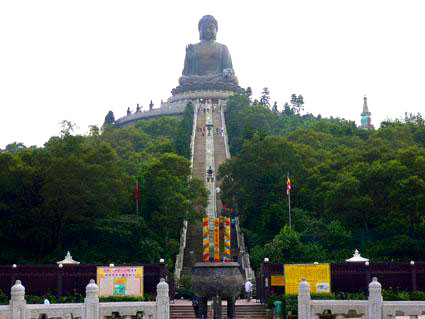 It is surrounded by the South China Sea on the east, south, and west, and borders the Guangdong city of Shenzhen to the north over the Shenzhen River. 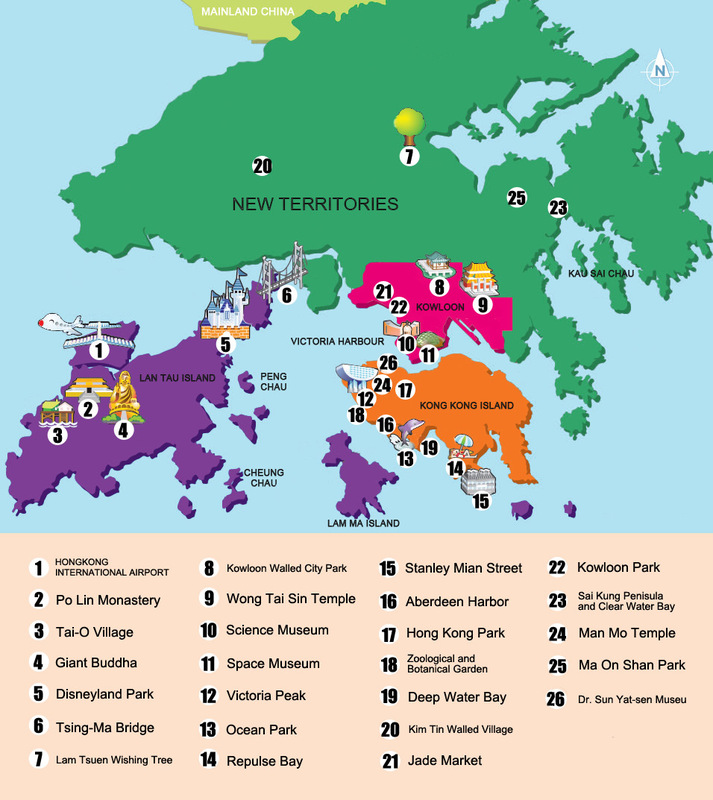 The territory's 1,104 sq km (426 sq mi) area consists of Hong Kong Island, the Kowloon Peninsula, the New Territories, and over 200 offshore islands, of which the largest is Lantau Island. 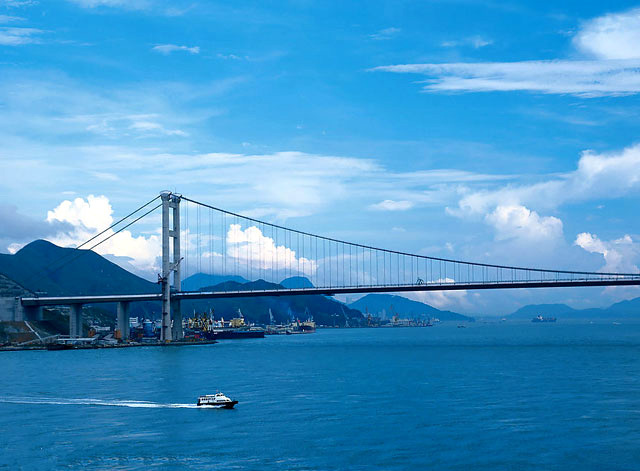 Of the total area, 1,054 sq km (407 sq mi) is land and 50 sq km (19 sq mi) is inland water. 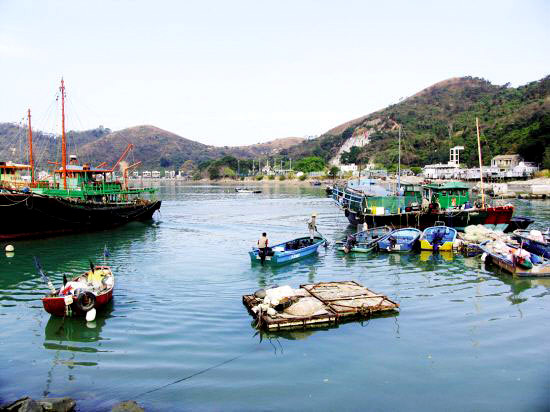 Hong Kong claims territorial waters to a distance of 3 nautical miles (5.6 km). 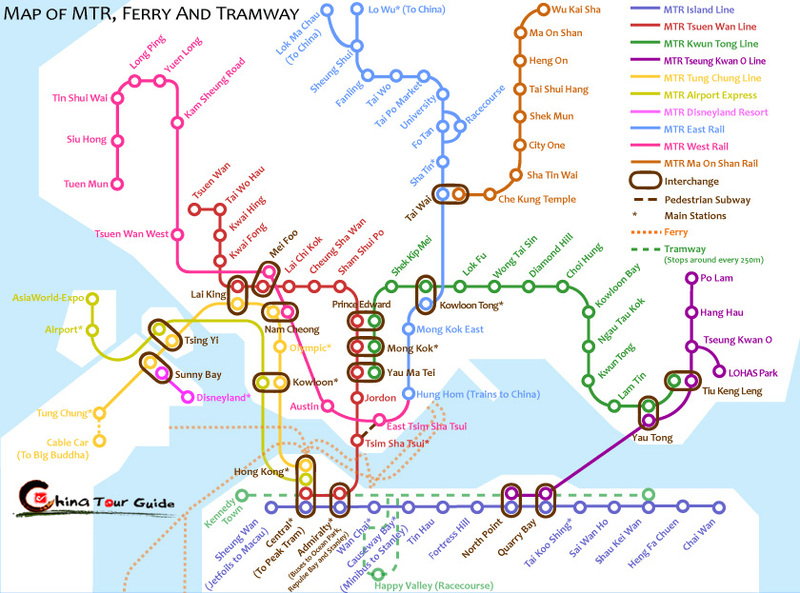 Its land area makes Hong Kong the 179th largest inhabited territory in the world.